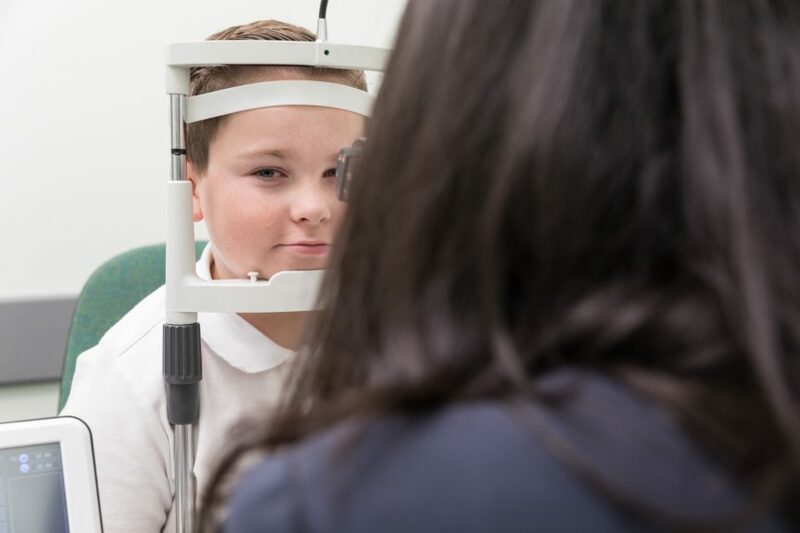 A mum from Caterham is urging parents to put children’s eye tests top of the ‘to do’ list after her own nine-year-old son’s examination uncovered a life threatening brain condition. Nicola Swinden thought it was going to be a normal Friday when she visited Specsavers with her son just before his birthday in March 2017. Jack Reilly (pictured above) – who was eight years old at the time – was seen by optometrist, Trishna Sharma (right). Trishna asked Jack and his mum if he had been experiencing any symptoms that were a concern. 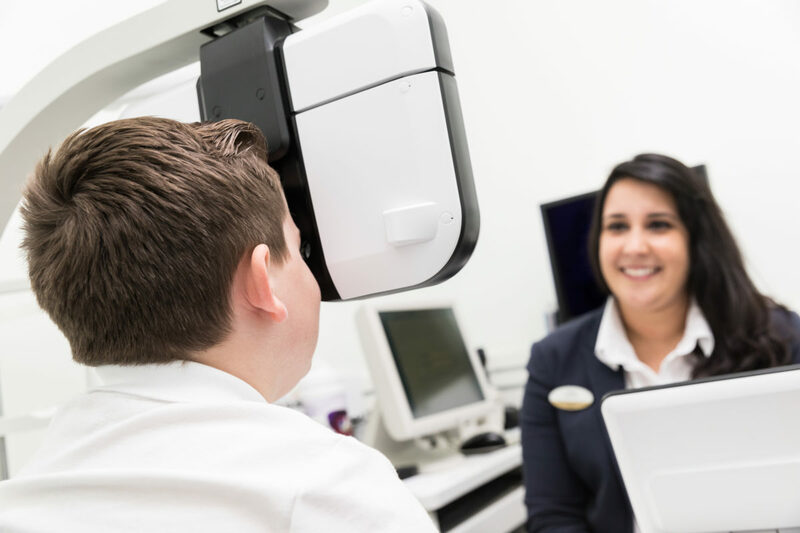 There were no issues that had alerted Nicola to attend her local Specsavers: she had just booked her son in for a regular sight test. Trishna quickly spotted a swelling of the optic disc and to confirm the suspected papilloedema diagnosis, retinal images were taken of Jack’s eyes, looking closely at Jack’s central and peripheral retina, optic disc and macula. Trishna concluded that the swelling of the optic disc could be down to raised pressure inside his skull, which in turn can be caused by a possible brain tumour. As this condition is an ocular emergency Trishna called the local eye department at East Surrey Hospital to ensure an urgent referral for Jack the following Monday. When Jack attended his hospital appointment, the ophthalmologist found raised pressure inside his skull due to a swelling in the brain caused by hormone imbalance. While it is impossible to know what could have transpired if he hadn’t visited Specsavers, Trishna said that she was relieved it was caught in time before any brain damage occurred. Jack then went on to have numerous lumbar punctures to manage the condition and still takes medication to balance his hormones. Trishna says: ‘We were told that Jack’s condition was a very rare case – so much so that the doctors involved in his treatment are currently writing a paper for publication about him. ‘Signs of optic nerve swelling are something every optometrist dreads, especially in a child, as it is a definitive sign that there is a raised pressure in the fluid around the brain. There can be a number of causes including a brain tumour or a bleed, sometimes no cause can be identified.